We’ve received more questions about Quetzalcoatl (e.g., “what is that?”, and “can you tell me how to pronounce this word so I don’t embarrass myself in front of my kid?”) than about any of the other monsters. Here, for posterity, is an introduction to Quetzalcoatl and his many forms and exploits. Quetzalcoatl, pronounced like this, has many manifestations, the most famous being that of a feathered serpent. Feathered serpents have long been revered by Mesoamerican cultures, with the first documented mention by humans coming in the first century BC. That’s about 2,100 years ago. For context, some other major news stories from the first century BC include Julius Caesar’s assassination and the birth of a woodworker named Jesus. The first specific mention of the feathered serpent known as Quetzalcoatl comes from the Postclassic period (900-1519 AD) by the Nahua people, a group indigenous to current-day Mexico and El Salvador. 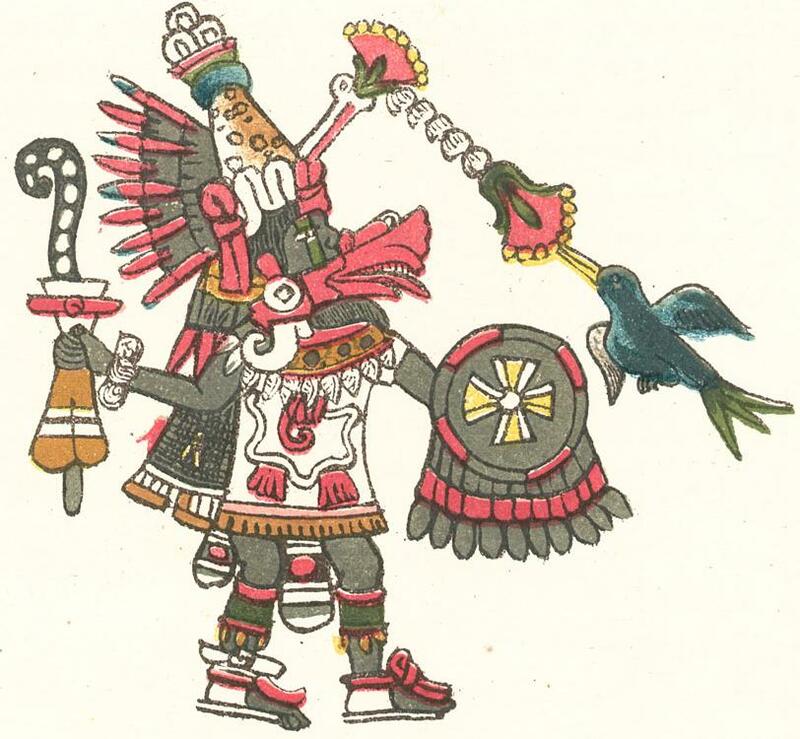 While the specifics of Quetzalcoatl vary across timelines and cultures, the Aztec culture revered him as the god of wind, knowledge, Venus, the dawn and, foreshadowing his appearance in Monster ABC a handful of centuries later, of arts and merchants. His multifaceted power was demonstrated by his ability to commute between the boundaries of earth and sky and by his contributions to the creation of Mankind itself. As the story goes, Quetzalcoatl joined Cihuacoatl, a snake-woman and goddess of fertility and motherhood, on a visit to the underworld where they mixed Quetzalcoatl’s blood with the ground-up bones of previous races to create the current race of humans. Not bad for a day’s work. That just about wraps up what you need to know about Quetzalcoatl to feel smart in front of your kid the next time you read Monster ABC together. I’d be remiss, however, not to mention a 1982 monster movie featuring Quetzalcoatl, which, as far as I can tell, is his only cinematic star turn. While he has shown up over the years in several video games (including a couple Final Fantasy titles and an Indiana Jones game), Quetzalcoatl’s strangest pop culture iteration has to be the movie Q written and directed by Larry Cohen. Based on what I gather from the trailer and movie poster (which features a sizeable typo, see if you can spot it above), this version of Quetzalcoatl isn’t so much a feathered serpent as much he’s a regular, run-of-the-mill dragon who decides to build a nest at the top of the Chrysler building and spend his time murdering unassuming New Yorkers. Although this version of Quetzalcoatl is clearly an exploitative Godzilla knockoff used for cheap stop-motion thrills, I highly recommend the trailer if you’d like to spend a couple minutes immersed in quintessential 1980s low-budget horror.